Summer is an ideal time for your clients to showcase their bar. With vacationers coming in every weekend, it’s important for your clients to set themselves apart from their competition. 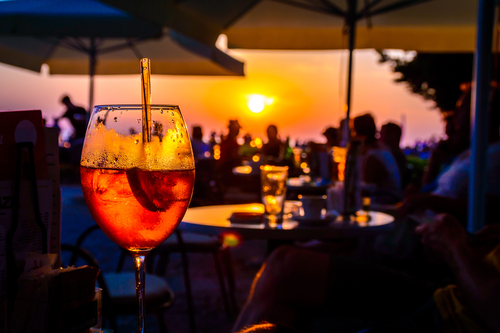 In addition to securing them with a custom tailored Bar Insurance Package, share the following tips with them to ensure their summer season is both profitable and memorable. While it may be extra money to add to your budget, hiring a marketing specialist has numerous benefits. Gone are the days where your clients can depend on word of mouth or have a young bartender do the social media posting. There are so many resources and tools out there, so if your clients are unfamiliar with them, it’s time to hire a specialist. For those located in college towns or that often get a lot of tourists, now is the time to mix up the menu and specials to attract the summer crowds. Work around the 4th of July as this is a huge holiday, throw after parties, make seasonal drinks, etc. Gearing marketing toward the season will only benefit the bar in the long run.